Working from home is more popular than ever in 2018! Surround yourself with office furniture that meets your needs. Making the most of your space. 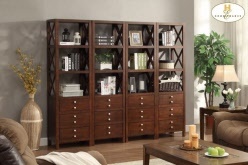 Our Hanna Home Office Collection by Homelegance / Home Elegance is designed for efficiency, style, and the perfect fit. Making the most of your space. Our Hanna Home Office Collection by Homelegance is designed for efficiency, style, and the perfect fit. The Cinderella Collection by Homelegance / Home Elegance is your little child's dream.